Star Ocean: Integrity and Faithlessness is available now for pre-order through Amazon. 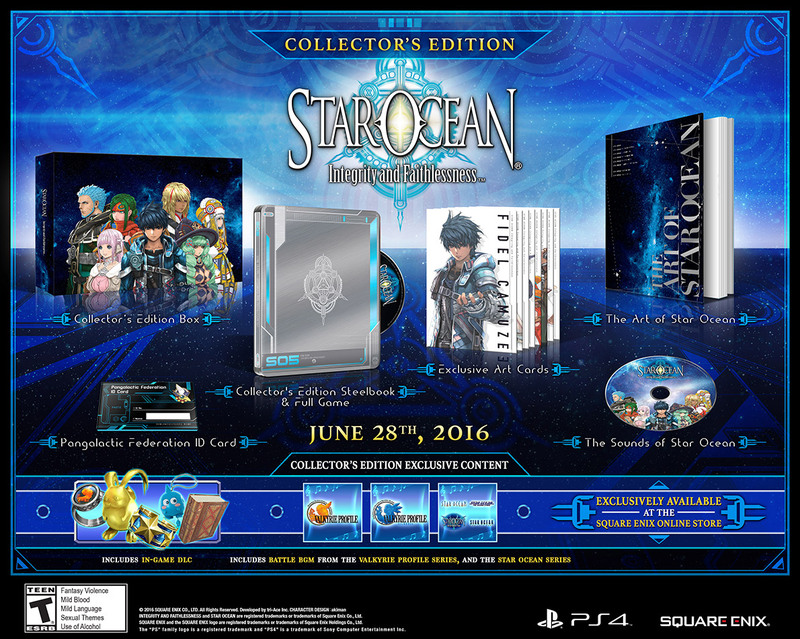 The Collector’s Edition, priced at $109.99, is available for pre-order exclusively from the Square Enix Store. Star Ocean 5 will only be available on PlayStation 4 in North America and Europe.